An open letter to the school boards in the districts whose representatives did not vote to override the Governor's veto of HB253. Two weeks ago your representative was one of fifteen House Representatives who did not vote to override the Governor's veto of HB253 resulting in the legislature's failure to pass an override of that bill. HB253 was an historic piece of legislation that would have made changes to Missouri's tax code for the first time in almost 100 years. It was passed at a time when all of Missouri's neighboring states were making similar changes to their tax structure in order to make their states more competitive. Now our state stands alone as one with an outdated, overbearing tax structure that is not friendly to business. This is nowhere more obvious than in Kansas City where dozens of what were formerly Missouri businesses moved across State Line Road to enjoy a better tax environment in Kansas. Over the last year, the Bureau of Labor Statistics reported 9,500 new jobs in Kansas City, Kansas, compared to zero job growth in Kansas City, Missouri. Our Governor is ranked #39 by The Business Journals in terms of job creation and isn't any lower because five other governors were too new to be ranked. The legislature carefully crafted HB253 to make sure that the state would not suffer. There were several triggers included in the bill to ensure that our mandatory spending categories, like education, would not be negatively affected in the unlikely event that revenues dropped. History has shown repeatedly that when tax rates are lowered, revenues actually increase, so there was little concern that the state would face a revnue shortfall. Similar fears, that proposed tax cuts would starve public schools and drain government services, were expressed in Kansas, yet the Kansas Department of Revenue collected $160 million more under lower taxes in fiscal year 2013 than it did under higher taxes in fiscal year 2012. The Missouri legislature acted prudently to protect our children by putting measures in place in HB253 to maintain education spending at current levels. The sponsors of HB 253 worked closely with the Governor’s staff to design a bill that would benefit all Missourians. In a good faith effort, the Legislators used language that the Governor’s Department of Revenue crafted in expectation that he would sign the bill into law. Imagine how hoodwinked the Legislators felt when the very language the Governor’s staff asked to be included was the language that the Governor used to confuse the public and insinuate the bill was poorly drafted and ill conceived. 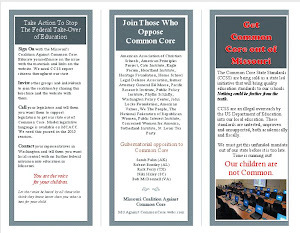 He then used the Missouri School Board Association and MNEA as his personal lobbying arms to spread misinformation about the ramifications of HB253 to the school superintendents, many of whom turned around and applied extreme pressure to your representative to vote against the override. The fact is, the only one withholding money from education is Governor Nixon himself. He withheld $400 million dollars this year from education. This is not the first time he has exercised this abuse of executive privilege. In FY2011 he withheld $150 million from education for disaster relief in Joplin, spent $36 million, and never returned the remainder. Though the Missouri constitution only requires the state to spend a minimum of 25% of our budget on K-12 education, this past year our Legislature authorized a full 38% of our spending to be used on education. The legislature has consistently funded education to record highs and it’s the Governor who continues to hold these funds hostage. This bill was about far more than education. Without these changes to our income and business taxes, our state has little chance of rising from the bottom of the economic barrel. We will be educating our children for jobs that just don't exist in Missouri. Did your Board meet to discuss HB253? Did your Superintendent provide a recommendation on the override? What sources did he/she cite? 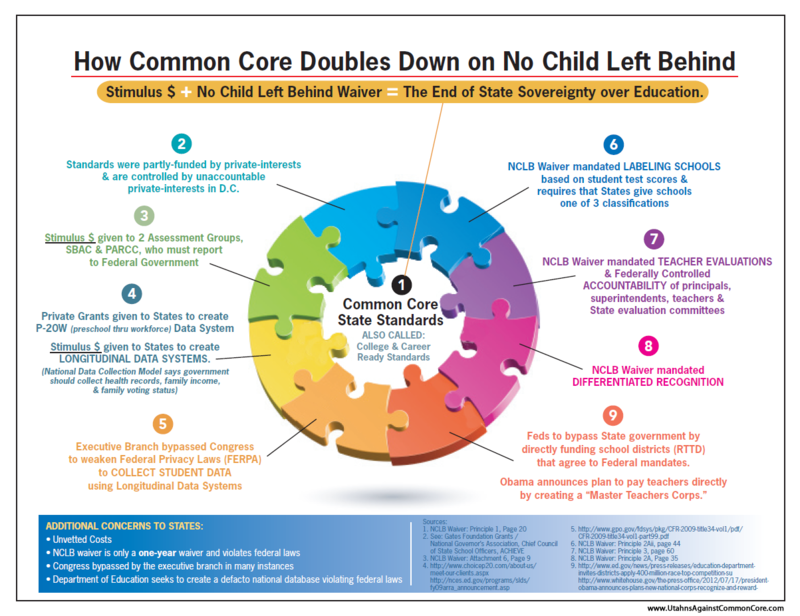 Did it include anything besides MSBA and MNEA talking points? Was information in favor of the override presented and considered? Was a formal vote taken to authorize your Superintendent to lobby your representative on behalf of the district? If you answered no to any of these questions, then you need to examine the way in which your Board operates in relationship to your superintendent. We must note that the lobbying efforts of your superintendents were specifically cited as a main factor in the way in which your representatives voted. While extremely important to a school district, superintendents should never be allowed to act as rogue agents appearing to represent the will of the school board without the actual approval to do so. If they act without formal permission from the publicly elected Board members, then they not only disempower the Board but also deprive the public of effective representation. If anything mentioned in this letter was news to you, it is obvious that due diligence was lacking on this issue. Despite the message you likely received in your school board training, unity in public is not the most important aspect of your role as a school board member. Careful consideration of facts, a willingness to assert proper authority when necessary and the ability to bring the disparate views of the taxpayers you represent to the table to seek out points of consensus are the characteristics needed in a school board member. 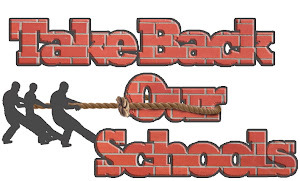 We hope that you will take action to restore the proper roles of school board members and superintendents going forward. Right on! These educators need to WAKE UP and see who is really working against them! Hint: it's NOT the Legislature. Having been to our school board meetings the last few weeks, I know that our school board sat through propaganda from MSBA and our superintendent lock steps right in line with what propaganda is told them.